I made this side dish/dip at the weekend for our Halloween family get together. It’s really simple to make and is a great addition to chilli con carne and tacos, as well as a fab dip for tortilla chips. I haven’t given quantities, because it will all be down to personal tastes! 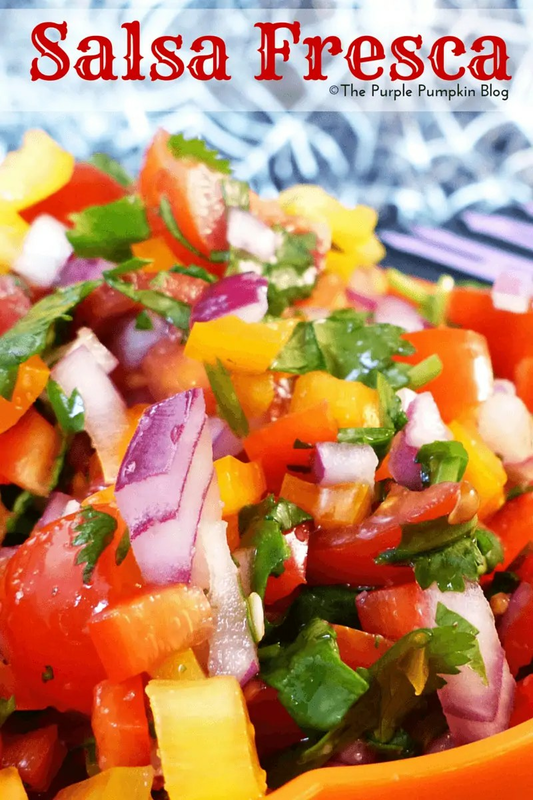 Place the prepared tomatoes, peppers, onions, chillies and coriander into a bowl. Season with garlic salt and lime juice to taste. ThinSalsa looks delicious Michelle and just the sort of thing we love. Your blog is looking amazing by the way!